I recently participated in an activity titled, "Garage Sale for Education". Not only was the activity fun, but it was extremely powerful. 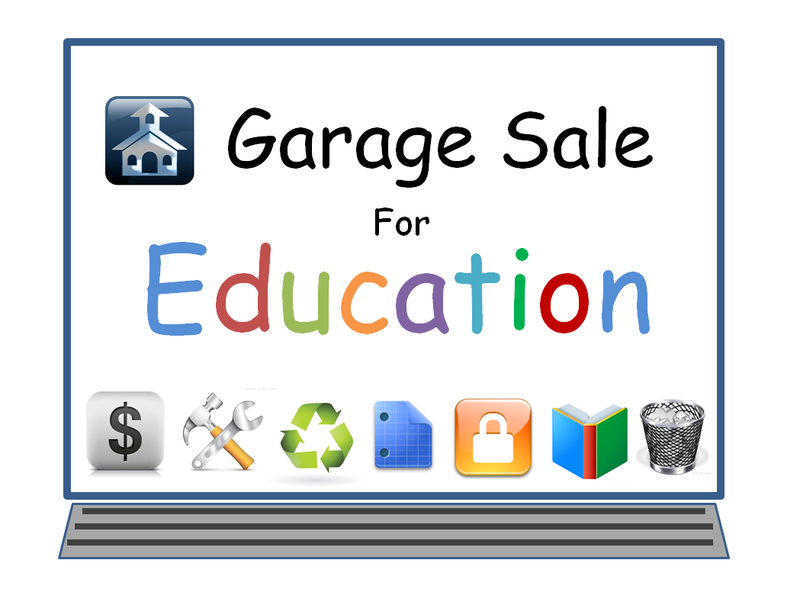 The purpose of the activity is to think of educational items, in the context of a garage sale. Participants are tasked with writing these items on sticky notes and assigning them to different "garage sale" categories on a white board. 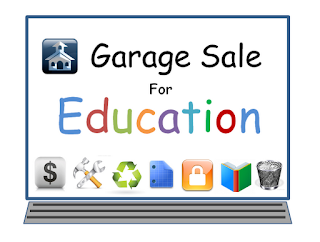 Items that might be in the garage sale could include values, programs, equipment, past events, social relationships, curricular ideas, teaching approaches, instruction, assessment, pedagogy, educational issues, conflicts, etc. Arranging these different items into categories requires higher order thinking skills of Blooms Taxonomy, such as analysis and synthesis, which makes for a great formal assessment. Regarding the context of education for this activity, I made a suggestion to change "Not for Sale" to "Shared or Borrowed". I made this suggestion because I think education is too competitive in America. I believe that we as educators should let others borrow creative materials and share instructional strategies that work! We are all teaching the same generation of students that will be running our country in the future, so why would we want to "short change" them? This is a great activity for teachers to participate in because it allows them critically think about things in education that are of great value to them, things that might need improvement, and things that are of little to no value to them. When teachers participate in this activity, they not only reflect on what is important to them, but they also get a chance to see what is important to other teachers. Alternatively, teachers also get a chance to see what others perceive as useless, or needs improvement. Finally, teachers get the opportunity to discover similarities, differences, trends, and themes about their perceptions. Teachers could perform this activity at team meetings, department meetings, faculty meetings and workshops. Topics could be as broad as public education, or as narrow as individual or team practices. The insight gained from this activity can be very powerful and valuable and might even help a group of teachers to make important educational decisions. This activity can also be a great opportunity for students deepen their learning and understanding of content knowledge. The great thing about this activity is that it can be applied to any subject at any grade level. For example, students could participate in this activity to analyze World War II, dissect a short story, debate strategies for solving word problems, and cross-examine renewable energy resources. The "garage sale" activity helps to spark discussion, identify major themes, and gain different perspectives from the diversity of its active participants. With regard to education, what would you sell? share? recycle? repair? trash? What are some other creative uses for this activity? How would you use this activity with a group of teachers? With a group of students?